Anna Louise James was born on January 19, 1886, in Hartford. The daughter of a Virginia plantation slave who escaped to Connecticut, she grew up in Old Saybrook. Dedicating her early life to education, Anna became, in 1908, the first African American woman to graduate from the Brooklyn College of Pharmacy in New York. 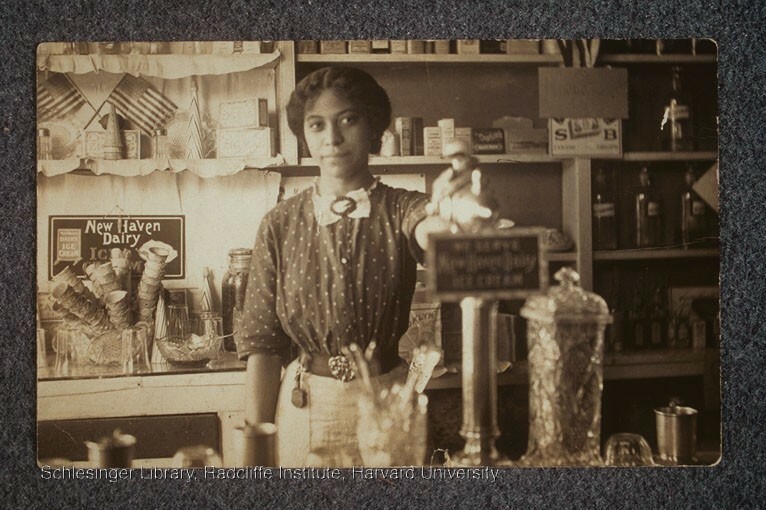 She operated a drugstore in Hartford until 1911, when she went to work for her brother-in-law at his pharmacy, making her the first female African American pharmacist in the state. After her retirement, Anna Louise James kept residence in an apartment in the back of the pharmacy until her death in 1977. The store itself remained vacant from 1967 until 1980, when it was renovated and reopened in 1984. Although the building has changed owners numerous times over the years, the former pharmacy, now primarily an ice cream shop, retains much of the character James instilled in it. The shop still utilizes some of the original cabinetry, tables, chairs, and marble countertops, as well as a 1940s milkshake machine. The memory of African American life in Old Saybrook during the early 1900s lives on in works by Ann Lane Petry, Anna Louise James’s niece and daughter of Peter Lane. Petry, who died in 1997, is remembered as one of the literary talents of the Harlem Rennaissance. A registered pharmacist, she worked at the James Pharmacy before marrying and moving to New York. Petry wrote The Street, a best-selling 1946 book about life in Harlem that sold over one million copies, making her the first African American female author to achieve this distinction. 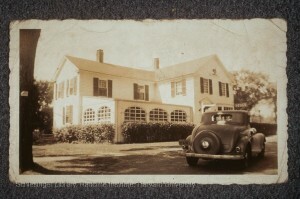 In addition to The Street, Petry wrote five other books including, Country Place (1947), a novel inspired by her experiences growing up in Old Saybrook, and The Drug Store Cat (1949), which she based on her memories of working at James Pharmacy. “Finding Aid to the Anna Louise James Papers, 1886-1977.” Harvard University, Radcliffe Institute, Schlesinger Library, 2017. Link. Petry, Ann, and Susanne Suba. The Drugstore Cat - Juvenile Fiction. New York, NY: Crowell, 1949.